So, in summary, here’s how K-Means seems to stack up against out desiderata: * Don’t be wrong! 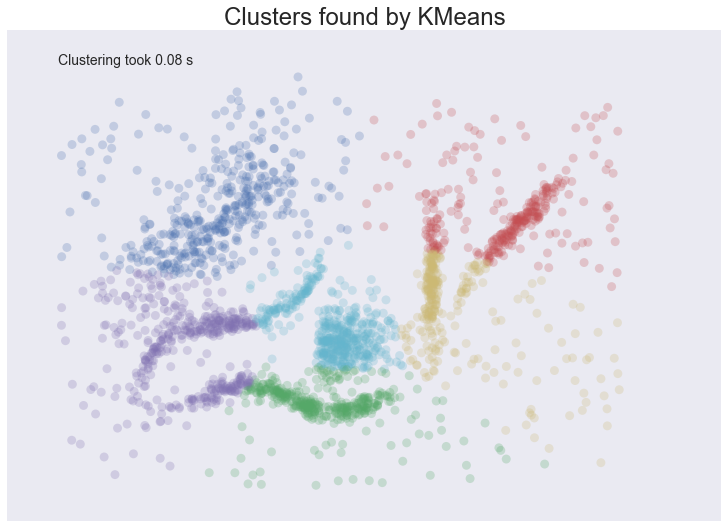 : K-means is going to throw points into clusters whether they belong or not; it also assumes you clusters are globular. K-Means scores very poorly on this point. 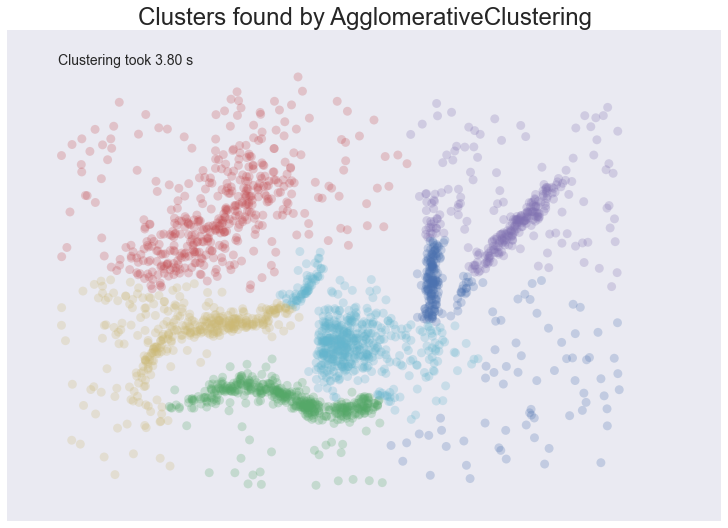 * Intuitive parameters: If you have a good intuition for how many clusters the dataset your exploring has then great, otherwise you might have a problem. * Stability: Hopefully the clustering is stable for your data. Best to have many runs and check though. * Performance: This is K-Means big win. It’s a simple algorithm and with the right tricks and optimizations can be made exceptionally efficient. 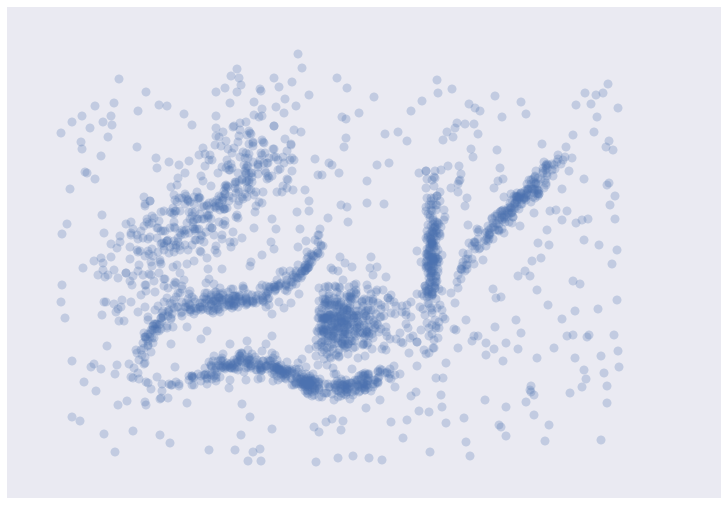 There are few algorithms that can compete with K-Means for performance. If you have truly huge data then K-Means might be your only option. 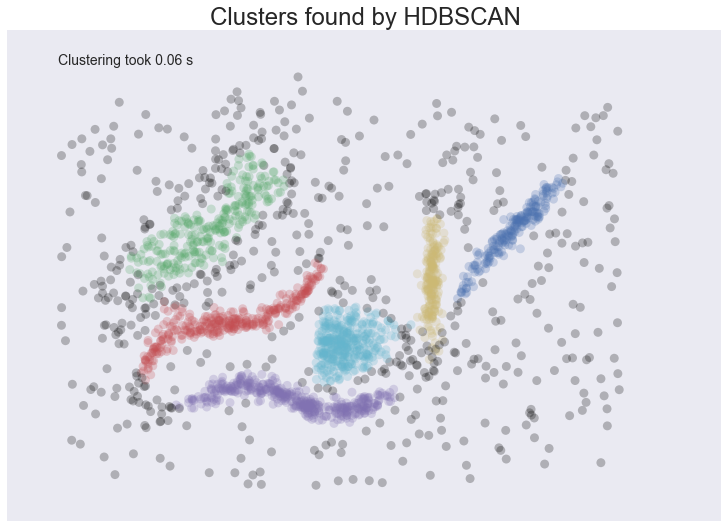 HDBSCAN is a recent algorithm developed by some of the same people who write the original DBSCAN paper. 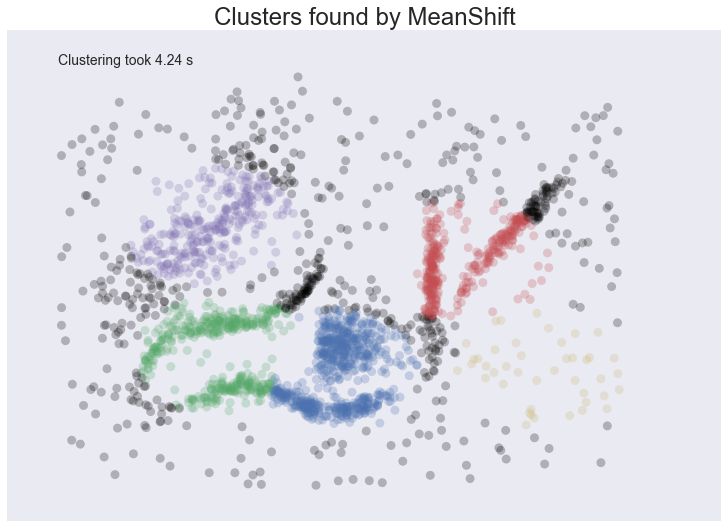 Their goal was to allow varying density clusters. 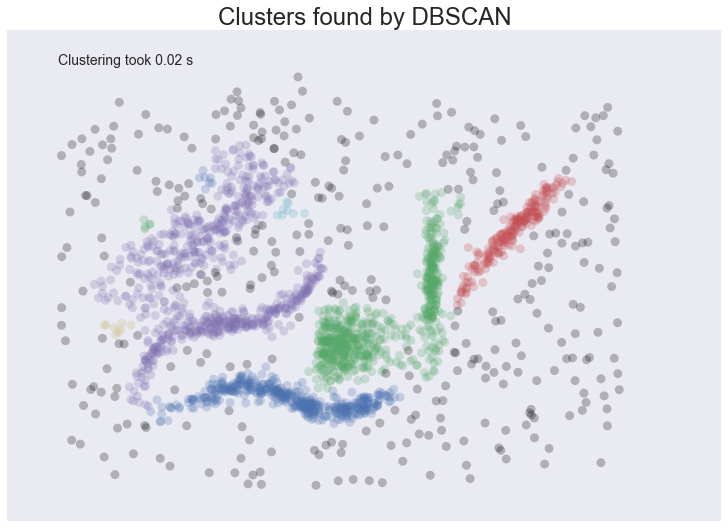 The algorithm starts off much the same as DBSCAN: we transform the space according to density, exactly as DBSCAN does, and perform single linkage clustering on the transformed space. Instead of taking an epsilon value as a cut level for the dendrogram however, a different approach is taken: the dendrogram is condensed by viewing splits that result in a small number of points splitting off as points ‘falling out of a cluster’. This results in a smaller tree with fewer clusters that ‘lose points’. That tree can then be used to select the most stable or persistent clusters. This process allows the tree to be cut at varying height, picking our varying density clusters based on cluster stability. The immediate advantage of this is that we can ave varying density clusters; the second benefit is that we have eliminated the epsilon parameter as we no longer need it to choose a cut of the dendrogram. 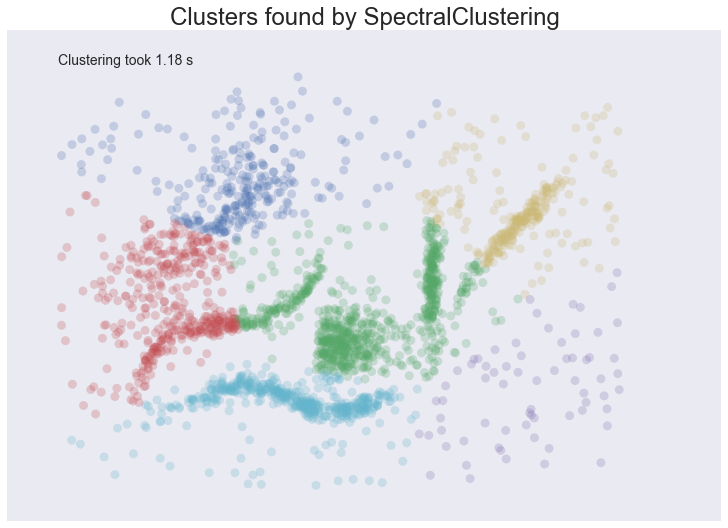 Instead we have a new parameter min_cluster_size which is used to determine whether points are ‘falling out of a cluster’ or splitting to form two new clusters. This trades an unintuitive parameter for one that is not so hard to choose for EDA (what is the minimum size cluster I am willing to care about?). Performance: When implemented well HDBSCAN can be very efficient. 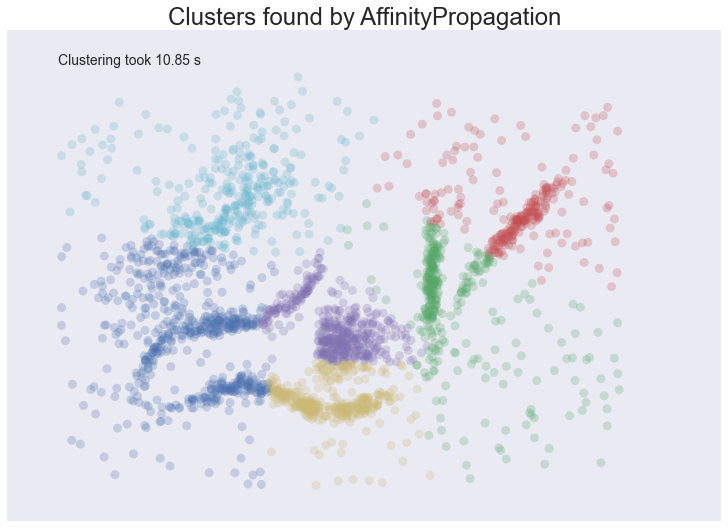 The current implementation has similar performance to fastcluster‘s agglomerative clustering (and will use fastcluster if it is available), but we expect future implementations that take advantage of newer data structure such as cover trees to scale significantly better. © Copyright 2016, Leland McInnes, John Healy, Steve Astels. Revision 181a10de.